This Nintendo Switch adapter turns your GameCube controllers wireless! Simply plug your GameCube controller into the adapter, and it connects wirelessly to your Switch. Perfect for the new Super Smash Bros. Ultimate! Nothing says nostalgia quite like a friday night with your closest friends, a pile of 90s snack foods, and Nintendo 64! You may not be able to take your entire Nintendo gaming console with you everywhere you go, but you can take the fun Nintendo 64 keychain! Become the drunkest there ever was, like no one was before with this fun Pokemon drinking game! This fan made game is printed on high quality on laminated cardstock and comes with special rules, dice and random Pokemon figures! These adorable handmade Dratini earrings have been carefully crafted into shape to fit snug onto your ears! The pair of stud earrings simulate the appearance of having stretched ears and will make a great conversation starter. Level up your bathroom and make shower time a whole lot more fun for any filthy Pokemon Trainer! Kids will love watching their favorite Pokemon spew a blast of steamy hot water from this 3D printed squirtle shower head. Just when you thought drinking beer couldn’t get anymore fun! These high-quality mugs each hold a pint of your favorite beverage and includes an etched image of Mario shooting a fireball that warps around the glass. Whether your searching for a hot lunch spot in the city, or navigating through the jungle on a banana quest, this Donkey Kong backpack can help you carry around your stuff in style. It even comes with his signature Donkey Kong tie! In this Zelda edition of the Clue board game, Ganondorf is threatening Hyrule with his evil plans to rule the world! Players must find out who possesses the power to defeat him, what item is required, and where he has established his hidden lair. Have you ever wanted to show your Pokemon games the respect they deserve? 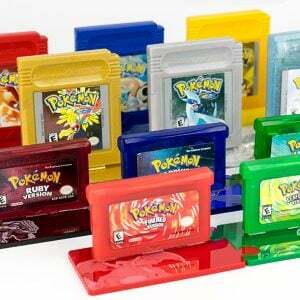 These interlocking display stands are worthy of any Pokemon Master’s cartridge collection! Each features laser illustrations and are available in generations 1 through to 3. Trending on the internet? Well now you can be one of the first to wear it in real life! Inspired by the crown that made the meme, this crop top is tight-fitting but yet is still incredibly comfortable! Princess Peach, I choose you! A watch is a necessity for when you really need to keep track of time, like when saving everyone from the impending doom of the looming moon! This Zelda watch features the Hyrule Crest on with a stainless steel case and a genuine leather strap. Don’t go trekking off to kanto these holidays without a good way to stay warm! No other Pokemon Christmas sweaters can quite channel the holiday spirit quite like these ones. Each sweater pattern is inspired by your favorite Pokemon starters. Bring a spark to your next big party with this inflatable Pikachu costume! This gigantic mascot costume will transform you into everybody’s favorite electric type Pokemon, ensuring all eyes remain on you wherever you may go. What better way to combine your love for Pokemon and gardening than with a Pokemon planter! Made with ceramic printers, these glossy planters and vases make the perfect spot for succulents and flowers in your home or office. Order a custom made and retro themed NES cartridge case for any Nintendo Switch game you have! These cool miniature cases are made from high quality PLA, have a metal pin hinge, and holds the game with a friction fit. 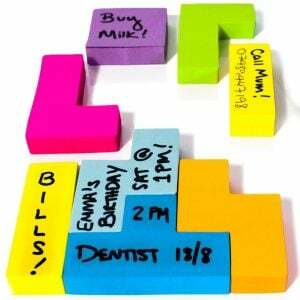 An entertaining and colorful alternative to everyday sticky notes! Combine boring reminders with a fun game of Tetris by using this creative pack of notepad blocks that are shaped just like the popular retro game. Add some Super Mario flair to your waistline by having Bullet Bill hold up your pants! This awesome belt buckle features a shiny rendition of the troublesome enemy from your favorite Super Mario adventures.